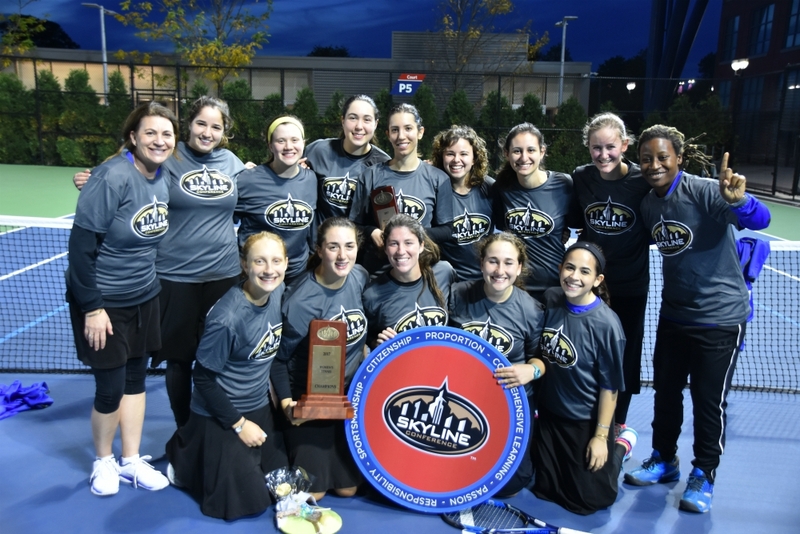 This week, Yeshiva University’s women’s tennis team made history as the Maccabees captured the Skyline Conference championship at the USTA National Tennis Center in New York City. 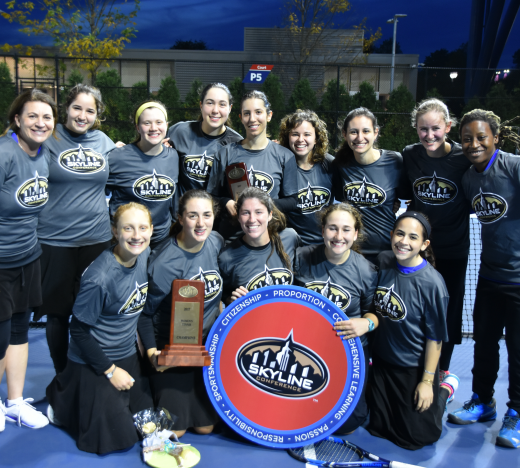 With the win, the team became the first YU women’s program to earn a bid into the NCAA tournament. The top-seeded tennis program reached the conference championship for the first time since 1999, after completing a season in which the team went 10-1. What’s behind the Macs’ success? According to the student-athletes, it’s a combination of raw talent, rigorous training and powerful teamwork. For Coach Naomi Kaszovitz ’87S, who returned to lead the Maccabees to the championship after successful careers on both the basketball and tennis teams during her own years at Stern College for Women, that opportunity is part of the YU experience’s unique appeal for students who also consider themselves serious athletes. That sense of camaraderie extends beyond the current lineup, according to Hava. “We want to thank the team, not only this year’s team but the players and captains from past years as well, and the Athletics Department and the coaches who have supported us the whole way,” she said. The NCAA Division III tournament will take place in May.